The film opens with a chase sequence, dropping us into the narrative long after the significant plot twists have altered the personality of the protagonist, Detective Choi (Jae-yeong Jeong). As the lead detective investigating a mysterious serial killer, Choi is left devastated by a failed opportunity to stop the murderer. Fifteen years later he still has not forgiven himself for this failure, shamefully refusing to have the scars remaining from his encounter removed. When the statute of limitation expires on the crimes, a young man named Du-seok Lee (Won-young Choi) comes forward with a book describing all of the infamous murders. Unable to arrest him, Detective Choi comes forward to attempt to prove him a liar. Soon it is uncertain whether the man confessing to the murder actually did the killing, though this is of no consequence to the grieving family members longing for revenge. 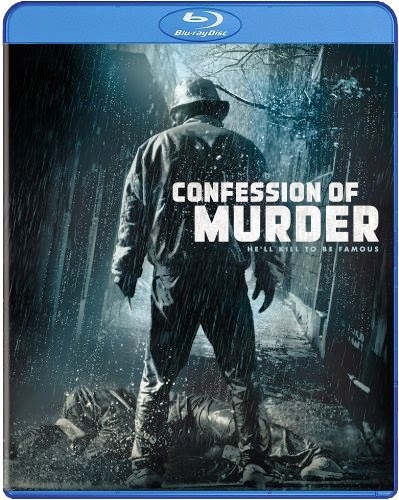 Confession of a Murder is the narrative feature film debut of Byeong-gil Jeong (Byung-gil Jung), whose debut as a director was a documentary about Korean stunt men. This somehow makes the overabundance of computerized effects for the largest sequence in the film even more disappointing, as is the unevenness of Jeong’s direction. There are some great sequences mixed in with disappointing ones, all constructed first in the director’s own screenplay. Perhaps it was a case of too much too soon for Jeong, but there is inconsistency in Confession of a Murder from one sequence to the next. Even a few clever twists and some exciting action sequences can’t make up for the glaring errors in the film, but this just means there is room for improvement in Jeong’s next feature. The Blu-ray release includes a behind-the-scenes featurette, as well as some cast/crew interviews and a trailer. The high definition presentation of the film may help to soften the fallacy of many computer generated special effects, but not enough to make them anywhere close to believable.